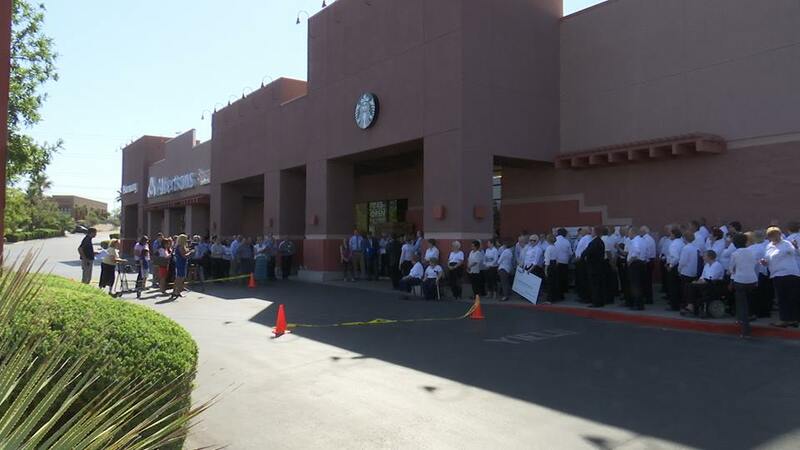 ST. GEORGE – Albertsons grocery store celebrated the grand reopening of its remodeled Dixie Drive location Wednesday with generous donations to local charities, an American Legion Color Guard and a performance by the Southern Utah Heritage Choir. “There’s not much more important than the food and the produce that we eat, take into our bodies each day,” St. George Mayor Jon Pike said. 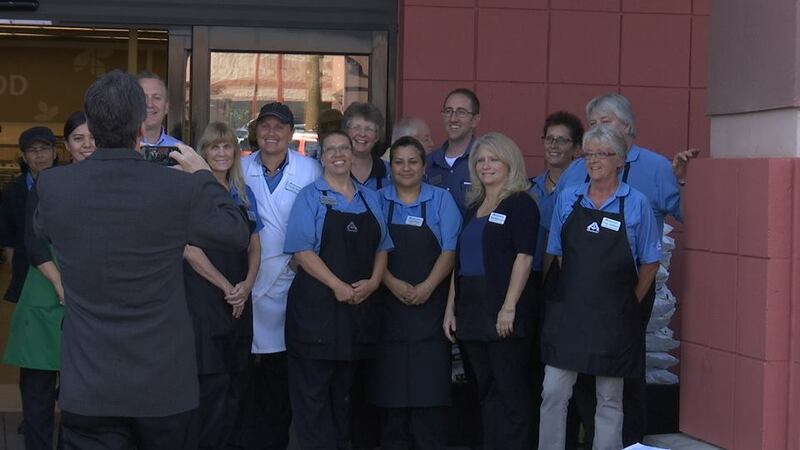 Albertsons first opened a store in St. George 33 years ago. The Dixie Drive location has been open for 13 years “almost to the day,” store director Mike Rawson said. While it’s great when new businesses come to town, Pike said, it’s also great when existing businesses reinvest in their operations. 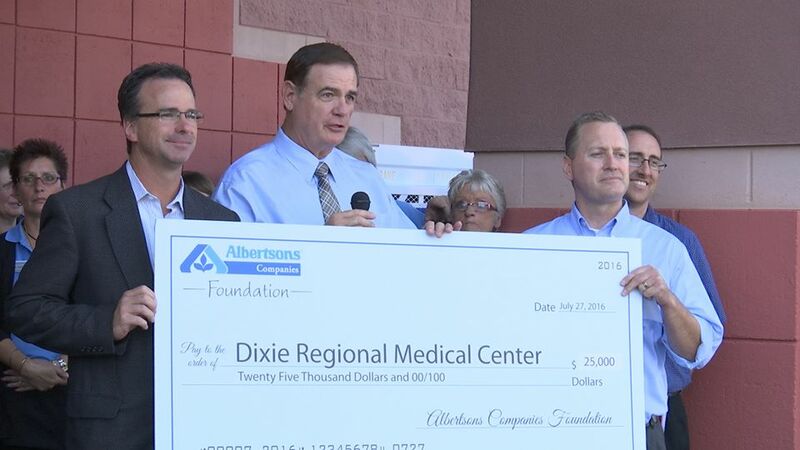 As part of the reopening celebration, Rawson and other Albertsons representatives donated $25,000 also to Dixie Regional Medical Center’s cancer program and Jubilee Homes, the “home away from home” for patients and family members receiving critical care at any Dixie Regional Medical Center facility. 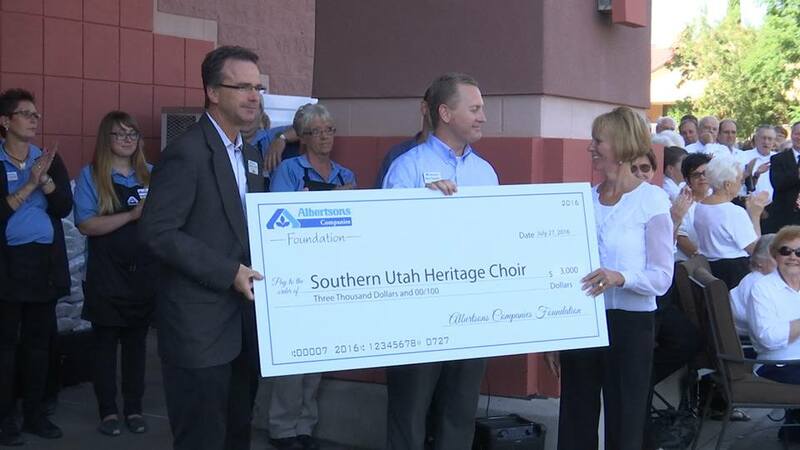 Representatives also presented a $3,000 check to the Southern Utah Heritage Choir, who also performed at the event. In addition, four pallets of nonperishable food and health and beauty products went to Switchpoint Community Resource Center. 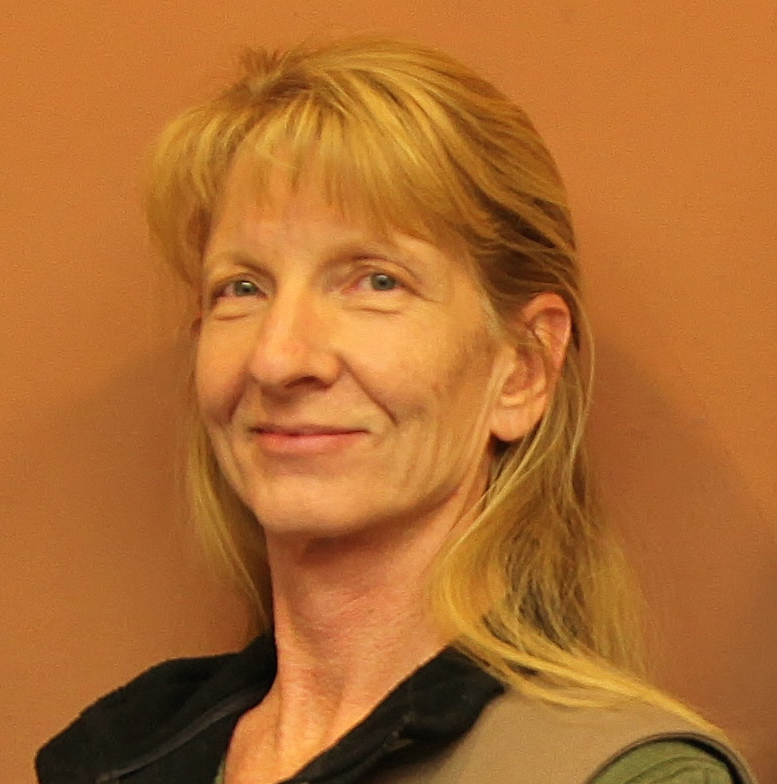 Switchpoint Center houses 80 people each night and serves 2,000 families a month at its food pantry, Carol Hollowell, Swithpoint executive director, said. 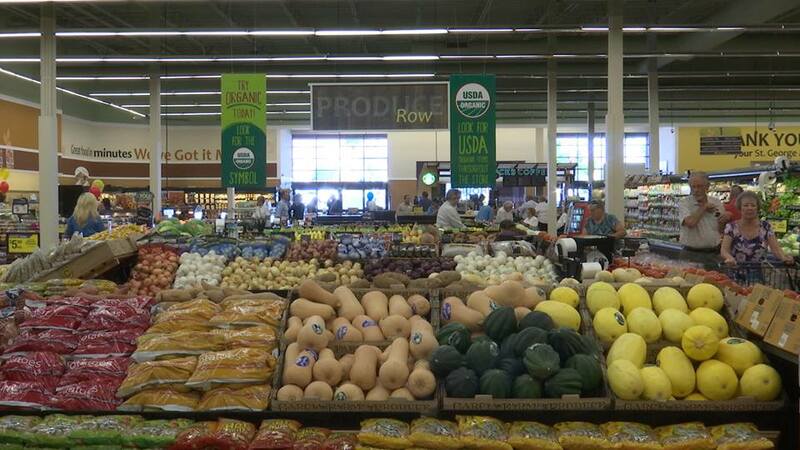 The remodel of the store located at 745 N. Dixie Drive includes a floral showroom, an expanded bakery and a larger produce department with an array of organic produce. There are also new meat and deli departments, a new salad bar, a sushi station and a hot chicken wing bar. “Looking at our store today, I think you’ll love what we’ve done with it,” Rawson said. 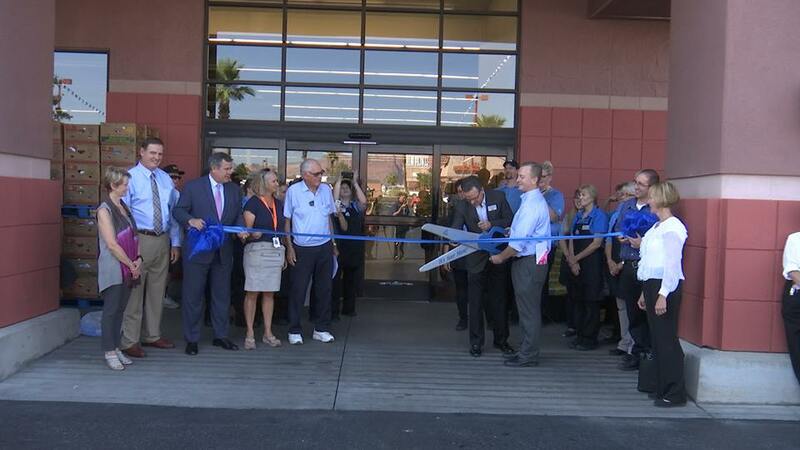 We’re thrilled to unveil a beautiful and highly upgraded Albertsons store in St. George. 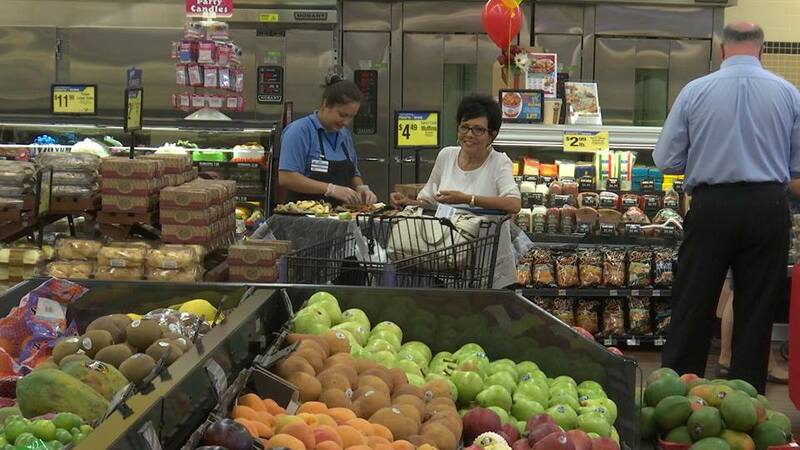 The extensive enhancements we’ve made will give shoppers the finest selection of food, along with a great experience each time they visit Albertsons. Food sampling and special savings will run throughout the week. It’s unfortunate that these new stores are not making use of covered parking with solar to help their customers and themselves. It’s done in other places that are far less sunny than southern Utah. I’d certainly shop at a store that provided covered parking to keep my car cooler. It would be a win/win for the store and customers. I see far more solar using installed in other areas. Too bad our business leaders aren’t getting on board. If the additional cost (although they’d be lowering their conventional energy cost) is their concern, seems they could make it up in product costs. I’d be willing to pay a little more at a store that offered this nice amenity.